There will not be the next Bill Gates, Steve Jobs, or Mark Zuckerberg. Those moments in history happened only once. This is what it means to go from zero to one. 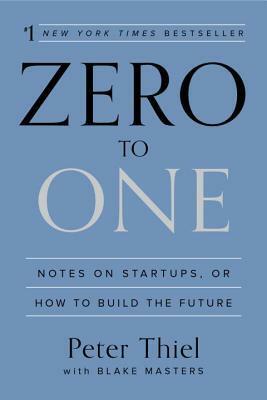 This book teaches about how to build a company that, instead of competing using similar products, will compete by solving a real problem, and will survive at least 10-20 years. Peter Thiel is an American entrepreneur, venture capitalist, philanthropist, political activist, and author. He is a co-founder of PayPal, Palantir Technologies, and Founders Fund. He was ranked No. 4 on the Forbes Midas List of 2014, with a net worth of $2.2 billion, and No. 315 on the Forbes 400 of 2017, with a net worth of $2.6 billion. In order to have a monopoly, your company must be different. Avoid competing with other companies. Create strong foundations for your startup.